Exhibiting growth at a positive pace, the global plant protein market is expected to reach multi-billion in value in the coming years. The market is likely to witness increasing demand from developed markets. However, the report predicts emerging nations to offer opportunities for growth a faster pace in the coming years. The rising inclination towards plant-based food products will open growth avenues for the plant-based protein market. Plant protein helps curbing appetite and increasing muscle mass in humans. Considering this, the rising focus towards health and fitness will aid in favor of the market’s growth. Also, the increasing application in the food and beverages industry will drive the global plant protein market between 2018 and 2028. Consumers especially in developed markets are growing keener towards the consumption of plant based food, which is a chief driver of the global plant protein market. Given the scenario, an increasing number of food and beverage companies are incorporating plant protein in products. This trend is fuelled by the rising preference towards plants as a source of protein in the U.S. With the increasing demand for non-meat food and non-dairy beverages, the plant protein market is currently witnessing lucrative growth prospects. Consuming plant protein can help in the reduction of saturated fats, thereby curbing the incidence of cholesterol and allergic reactions from dairy products and eggs. Furthermore, the market is expected to gain from the rising demand for organic food products in developed nations. Also the rising preference of consumers towards the consumption of plant-based food products will create significant growth opportunities for the global plant protein market. As per recent studies, developed nations are at the forefront supporting the market’s expansion. It is important to note in this regard, that the consumption of red meat is often linked to the increasing incidence of heart diseases as ground beef and red meat have a high content of saturated fats, which can elevate blood cholesterol level, thus increasing the risk of cardiovascular diseases. Against this backdrop, experts anticipate the demand for nutritional supplements to rise instead. The spurring geriatric population has fuelled the demand for remedies to cure various ailments. As a result of these factors, the demand for plant protein is expected to rise in the coming years. Also consumers are choosing a healthier lifestyle, which is projected to boost sales prospects for various health products, subsequently driving the global plant protein market. Furthermore, with market players diversifying their product portfolio and focusing on innovations, the plant protein market is likely to gain impetus in the coming years. For instance, Clover Food Lab launched “Just Egg” sandwich in August this year, pairing caramelized onions, seared bell pepper with scrambled products served alongside various options. Just Egg was then included in the breakfast menu of popular chains to woo customers. This and various other plant-based protein types are on the rise. Such innovations are likely to enable the market gain momentum in the coming years. Regionally, North America emerged dominant in the global plant-based protein market. The rising consumer awareness of various benefits offered by plant-based protein will increase demand witnessed in the market in North America. This can be directly linked to the increasing incidence of cardiovascular ailments in the region. As people opt for a healthier lifestyle to control cholesterol level and their blood pressure, the demand for plant based protein will increase in response. 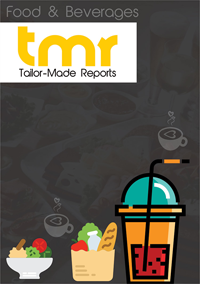 Some of the leading companies operating in the global plant protein market are Archer Daniels Midland Company, Cargill Incorporated, Ltd, Axiom's Foods, Azaki Gulico Co., E.I. Du Pont de Nemours and Company, Kerry Group PLC, Ajinomoto Co., Inc., Glanbia PLC, Growing Naturals, LLC, and Pinnacle Foods, Inc.